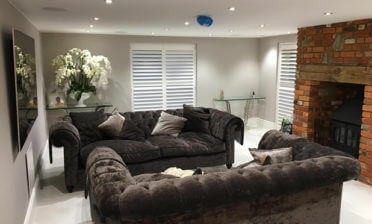 We recently found ourselves in South Acton, Hounslow London to fit some shutters throughout a home including the main living area, bedroom and bathroom. 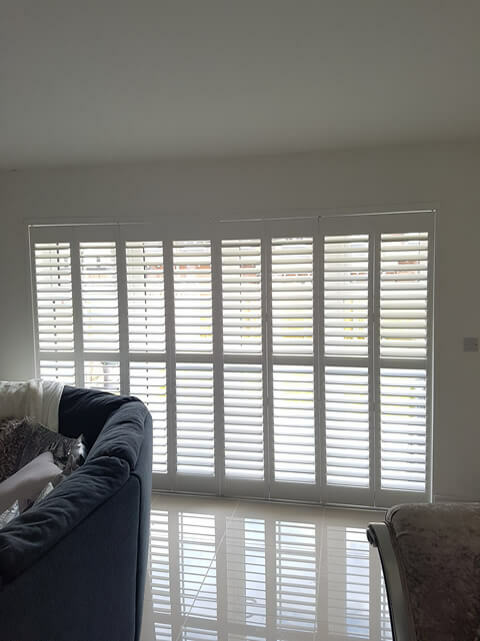 The client was looking for shutters because of the added privacy they bring, as well as the modern appearance which would help to transform all the rooms! The living area features track system shutters which allow full access to the patio doors and windows, which once bulled to the side gives full views of the rear outdoor area and allows natural light to stream in. 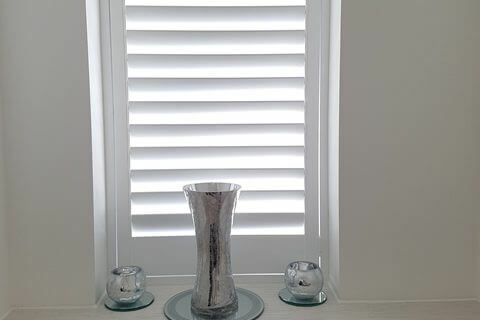 These shutters look fantastic against the marble flooring and work well with the existing look of the room. 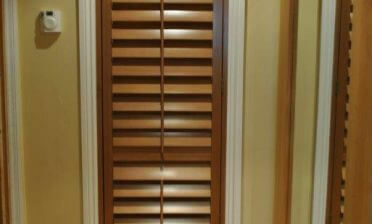 We also installed 3 panels of shutters into one of the bedrooms and a single panel in the bathroom. 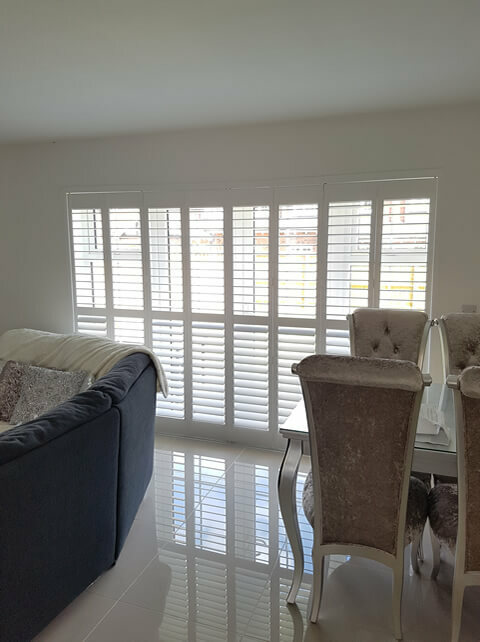 The shutters were created to match in style and finish throughout the home, with the addition of a mid rail to the track shutters for added strength and to break up the louvres for flexible adjustment. 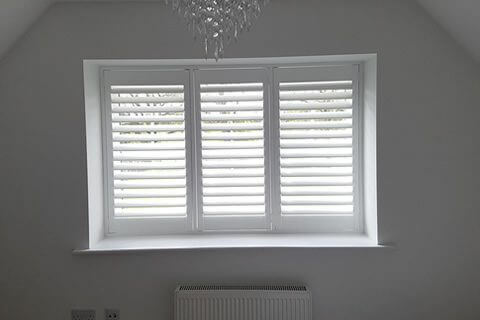 All shutters were finished in a pure white paint which looks great in this modern property and manufactured using Paulownia wood from our Fiji Range of Shutters. 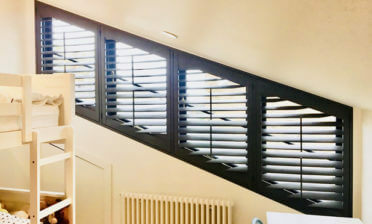 The shutters also feature a hidden tilt rod system on allow shutters allowing for a less cluttered, modern appearance with the shutters being adjusted via simple touch.